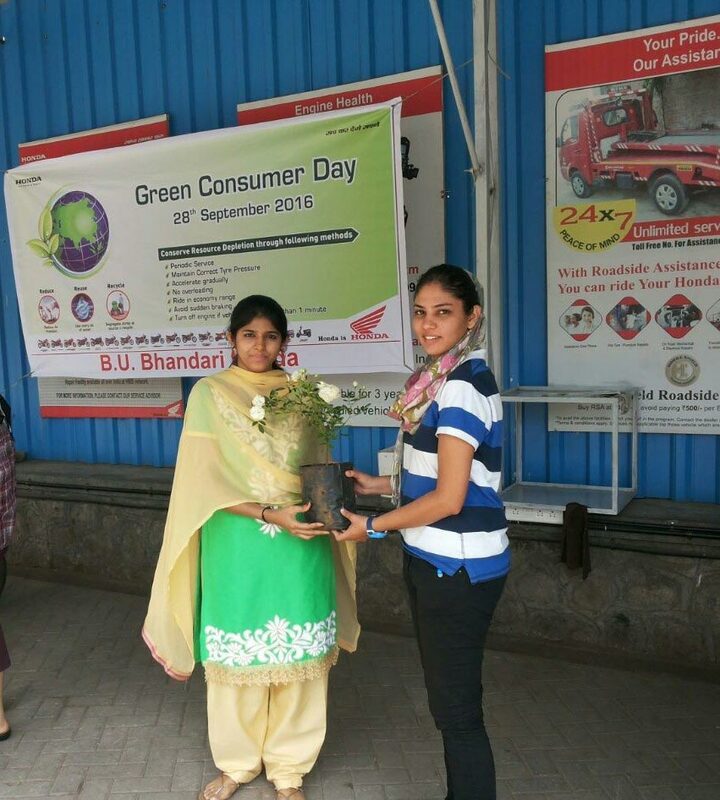 Honda Motorcycle and Scooter India (HMSI) today launched an awareness drive advocating the cause of green consumerism to mark the celebration for Green Consumer Day. Aligned to its vision of ‘Blue Skies For Our Children,’ the company mobilized its countrywide network of over 4,000 sales and service touch points and distributed LED lights among its customers and associates for spreading the benefits of electricity conservation. To spread the message ‘Switch to Green,’ HMSI distributed pamphlets containing information on how to reduce dependence on fossil fuel consumption. Jute bags were also distributed to discourage the use of plastic ones. Fostering education about the importance of making a difference as an individual towards environment and reducing the carbon footprint, Honda’s campaign revolved around the 3Rs principle: Reduce, Reuse, Re-cycle. Honda is actively promoting green consumerism among existing and potential customers and encouraging them to opt for eco-friendly products. This day is focused on building awareness on how consumers can help in reducing carbon foot print and contribute to environment protection. Honda also briefed customers on the concept of Honda Eco Technology (HET) which is built in all Honda engines that help in reducing vehicle emissions significantly. Adopting a holistic approach for maximising the outreach, message banners and creatives were displayed at prominent locations on a pan-India level besides Honda touch points including dealerships, workshops and branches. HMSI also distributed stickers with ‘Switch to Green‘ message pasted on all vehicles serviced today.